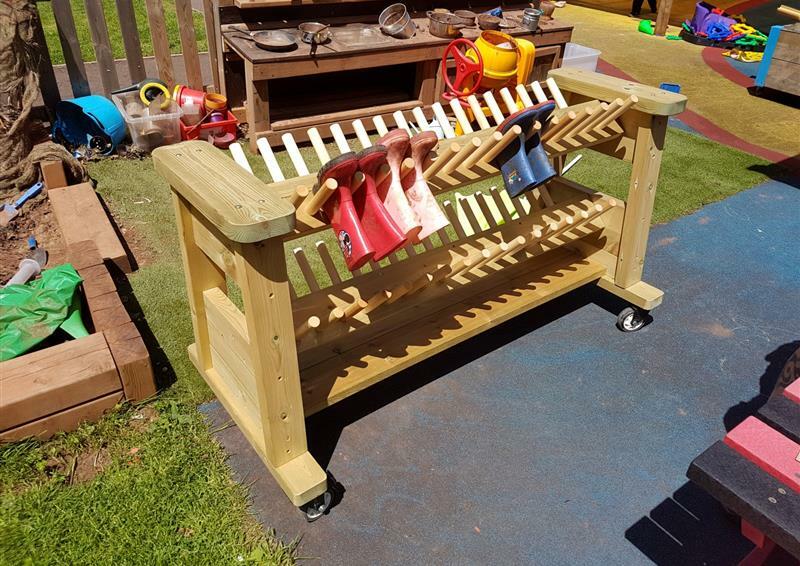 Create a child-led EYFS outdoor area with our incredible range of early years outdoor play equipment. 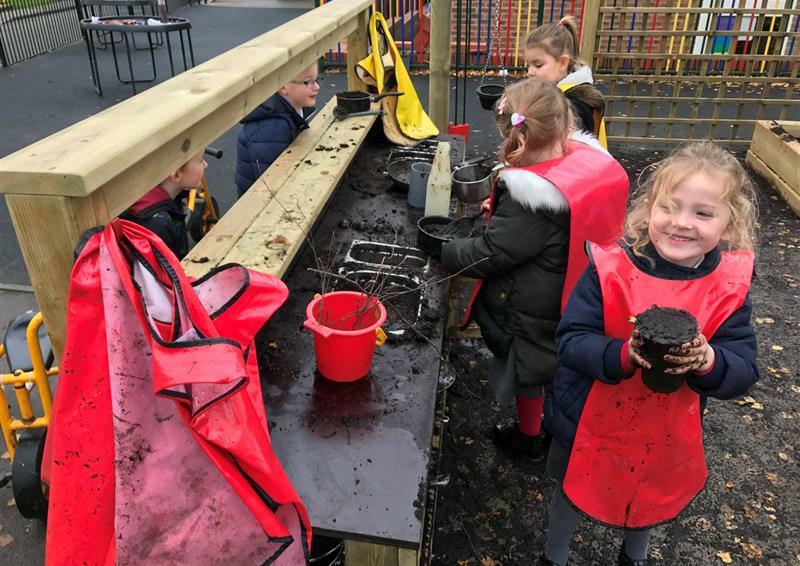 Our EYFS consultants will work with you to create an outdoor learning environment that will encourage children to express themselves, explore their imaginations, conduct investigations, work in teams, take safe risks and make errors, decisions and choices as autonomous learners. 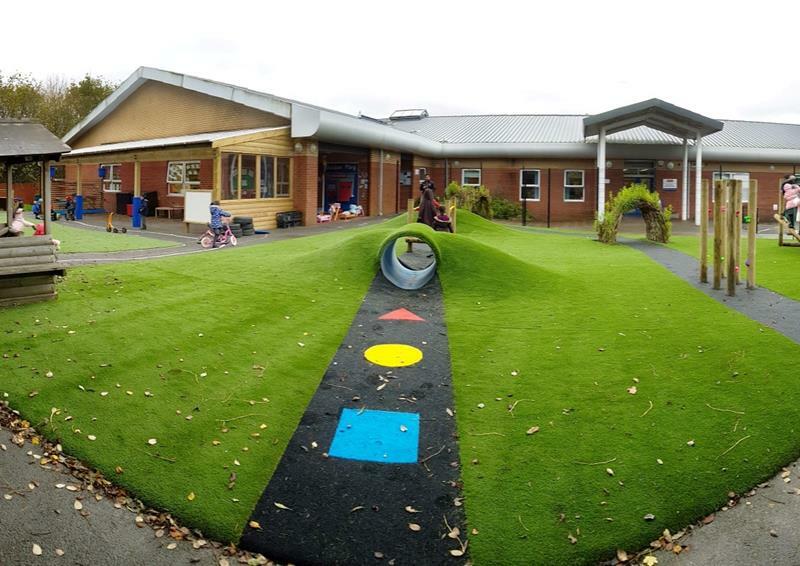 Create an exciting, vibrant space for children to learn through play within. 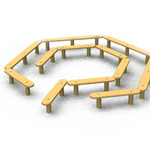 Provide children with a space to express themselves freely outside of the classroom. Our Bug Hotel is the perfect resource for science, literacy and investigative learning. 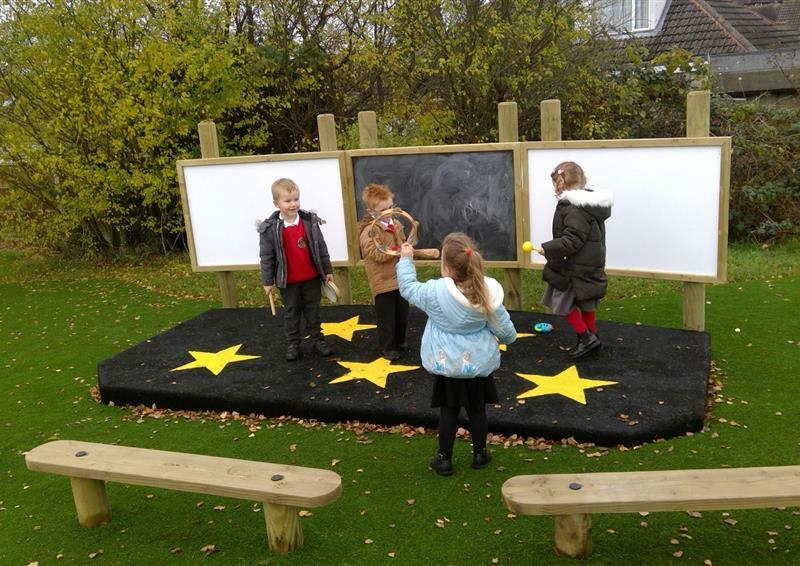 Design a vibrant area that targets all 7 areas of the EYFS curriculum outdoors. 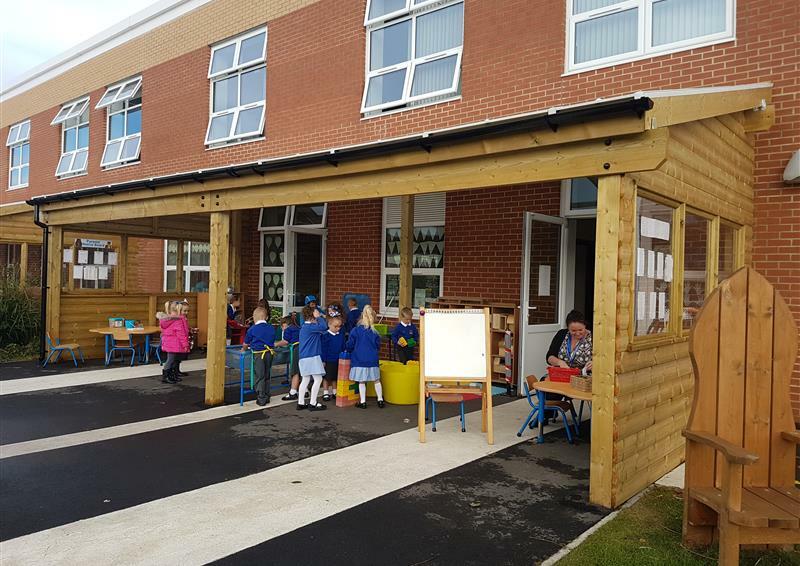 Provide children with an outdoor area they can learn through play within. Create an inviting area children can thrive within. St Chrysostom's children have an exciting place to explore, investigate and develop key skills. 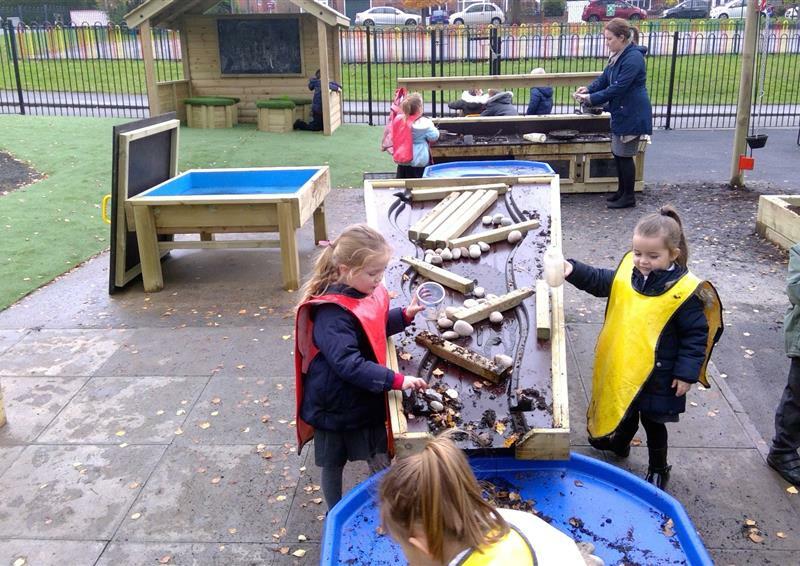 Would you like to build in dams in your early years playground? Build dens, weave materials and ignite role play with our den-making products. 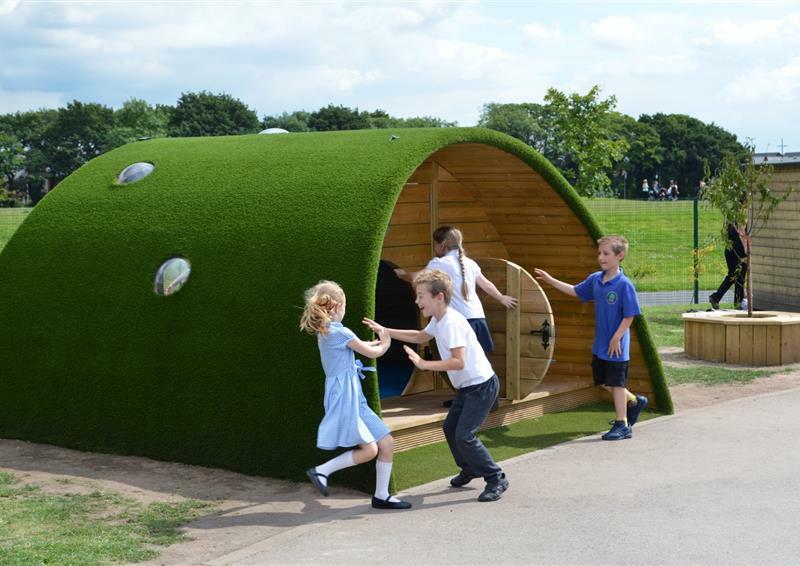 Transform into little hobbits with our Hobbit Playhouse named, The Burrow. 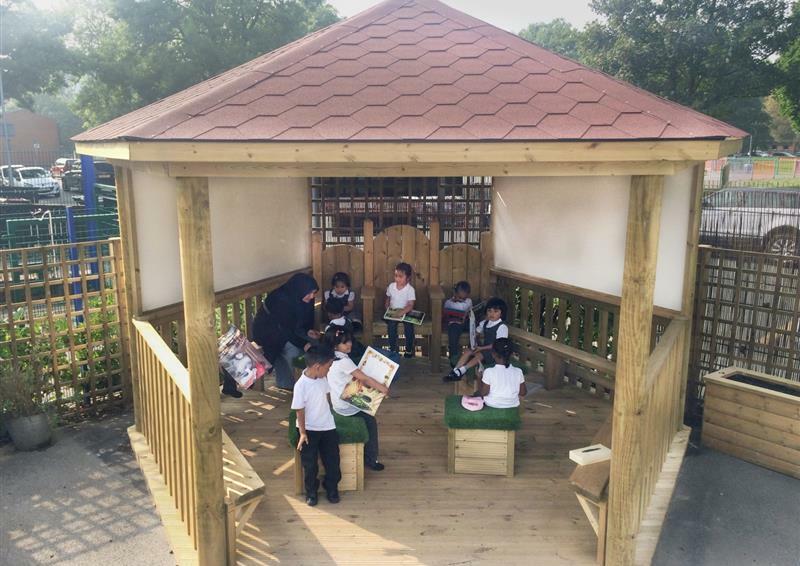 Outdoor Classrooms are excellent hubs for reading, writing and developing language. Our Playground Castle will help re-create children's favourite fairy tales. Allow your early learners to express themselves outside the confines of traditional classroom. Excellent early years playground storage for children to self-select resources. 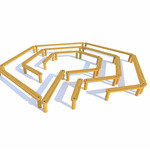 Crate a free flow play environment from inside the classroom to outside. Scroll down a little more to see more video. 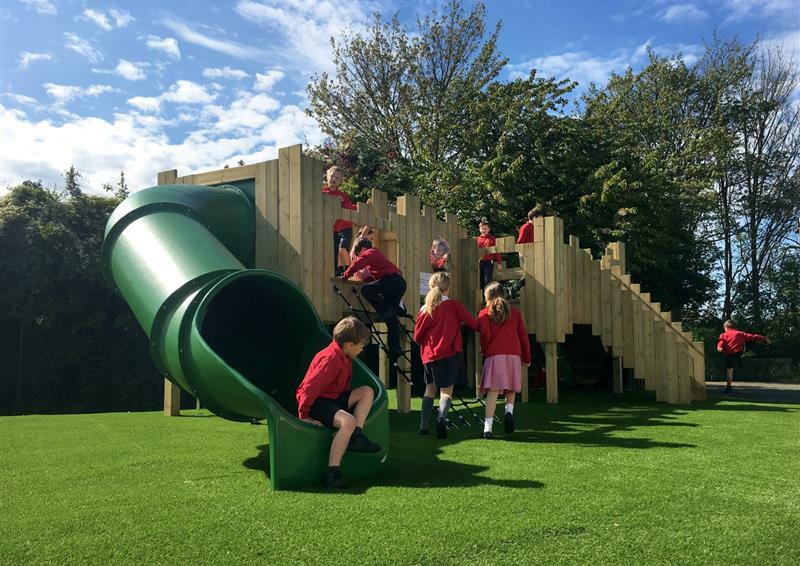 Pentagon Play are EYFS experts who always have a constant influx of new and innovative early years outdoor playground equipment. 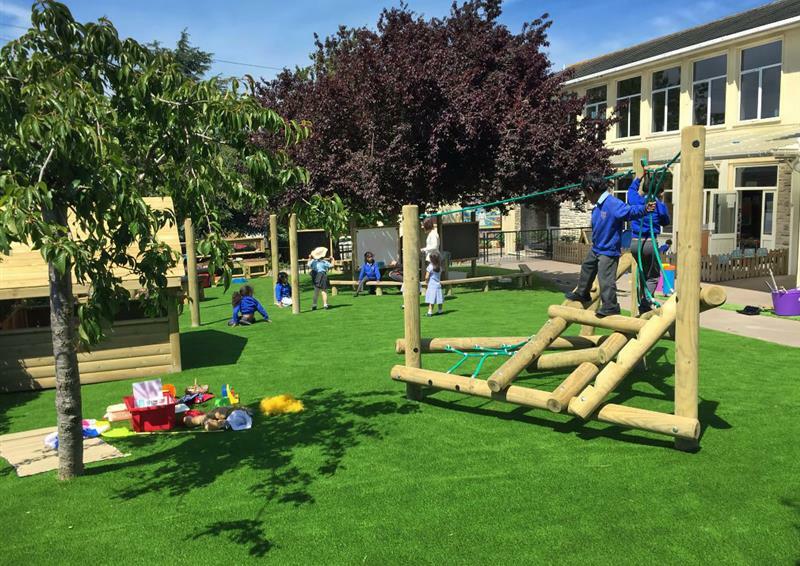 Our team of educational experts and former teachers, will provide a consultative approach to help you create an outdoor learning environment brimming with stimulating resources. 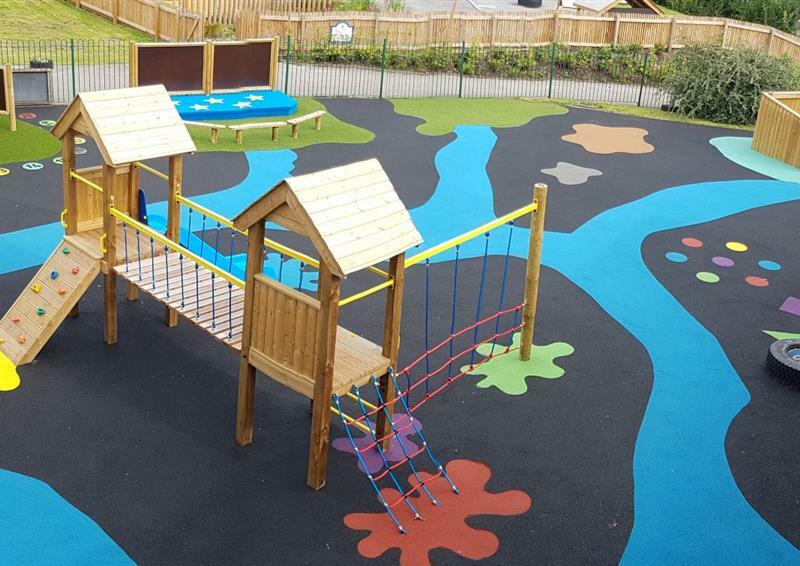 We'll explore the potential of your playground to create zones for investigative learning, messy play, physical development, literacy, mathematics and expressive arts to name but a few. 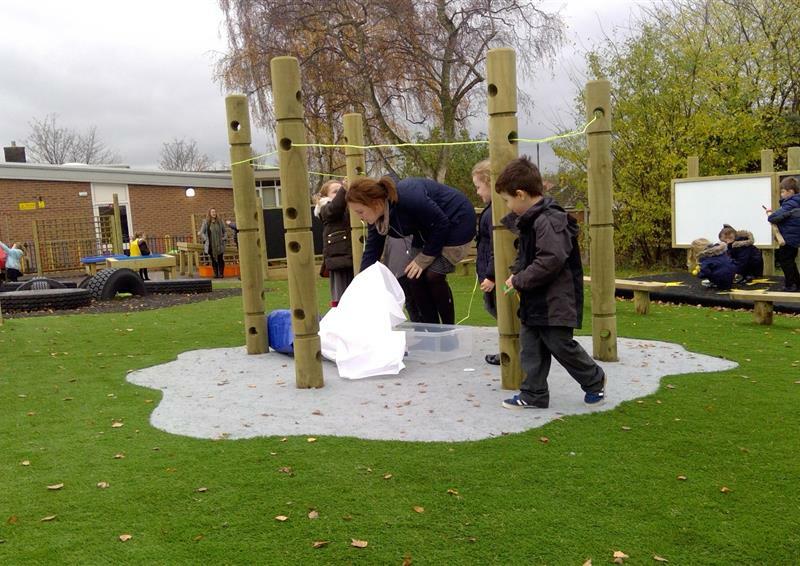 Our EYFS product range is fully inclusive and will encourage open-ended and non-prescriptive play. 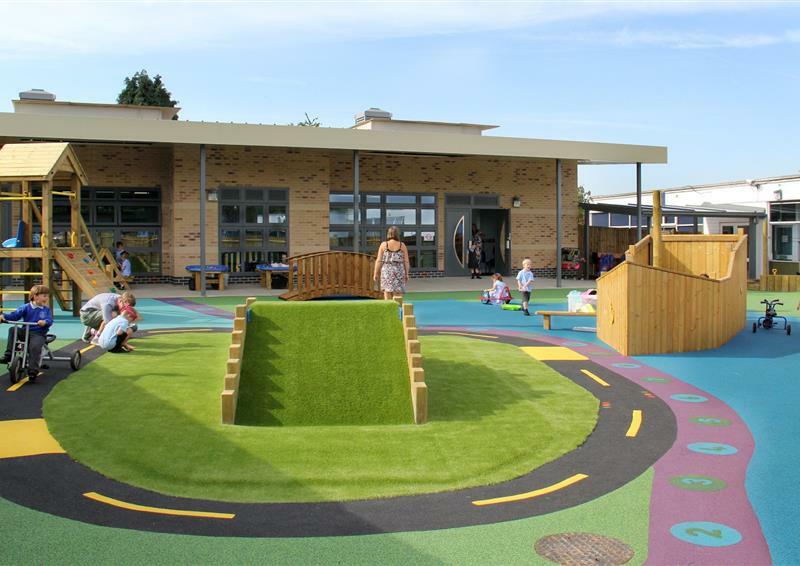 Take a tour of our incredible EYFS projects by watching the videos below... we truly are a trusted provider when it comes to developing your EYFS outdoor area. Chris and Julian have done an amazing job! hey have been extremely considerate and have handled parents wanting to access the site. They have checked on positions of installations and left the area safe and tidy each night. Certainly the best contractors we've had on site for a long time! Thank you our children are really enjoying the new equipment, so much so we have had you back for some more items for our infant play area! The installers were polite, and the whole installation was managed safely and with minimal disruption.